SammyDress | Satin Embroidered Bomber Jacket - Leila D.
I hope you all had a great weekend and are ready for the new week. Did you do anything fun? I am so obsessed with this beautiful satin bomber jacket and booties from SammyDress. Loving the shades of pink. This bomber is very pretty. I love the colors, the embroidery and of course that it's satin. Embroidered and satin bombers are so hot this year and the grey and pink combo is very beautiful. 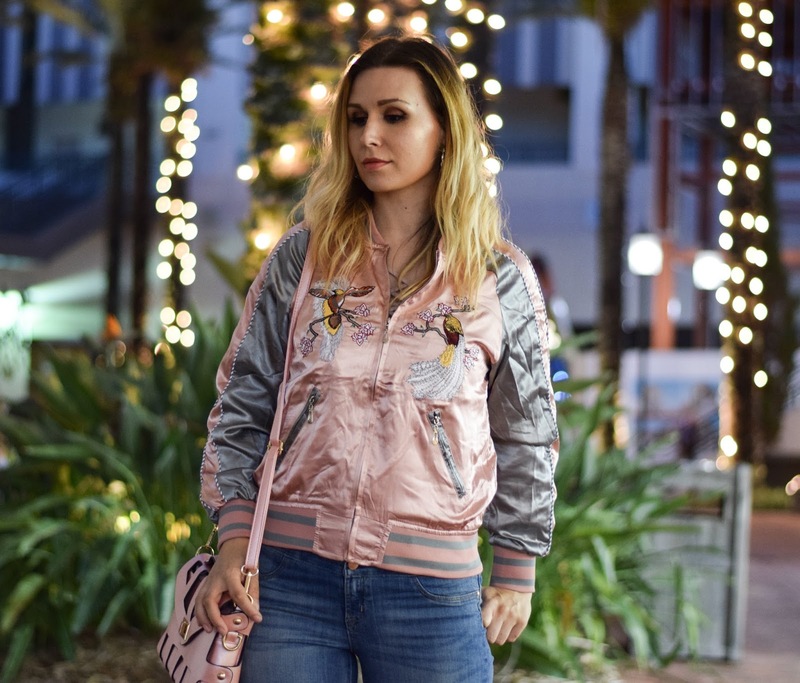 I chose to style mine with jeans but satin embroidered bombers look good with almost anything. They will give your outfit the wow factor. The booties are amazing. They are cute and comfortable, I don't ever want to take them off. The quality is fantastic. I ordered a half size up and they're the perfect fit, they look unique and have very pretty details like the two little bows on the back. Inside it's faux fur lining which keeps your feet warm and feels great. You can wear them whole year long. You'll definitely get many complimets on these booties. How do you like this look? Are you a fan of satin bombers?